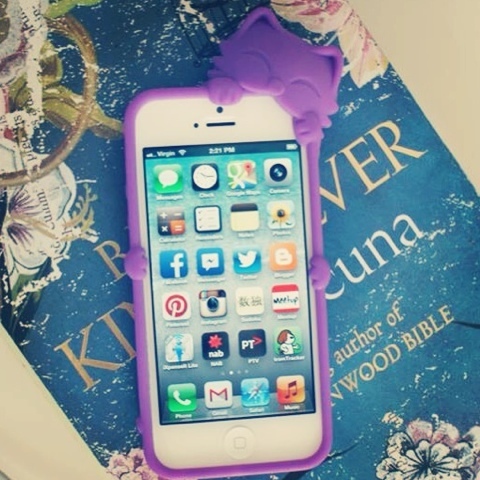 I saw this phone case the other day and totally fell in love. I showed it to Hugh and without a word, he pulled out his wallet and handed me cash. It makes me smile every time I pull out my phone. Whatcha reading? Something by Barbara Kingsolver? It's purple AND it's a cat?! My god, I think you just earned 75 cool points.